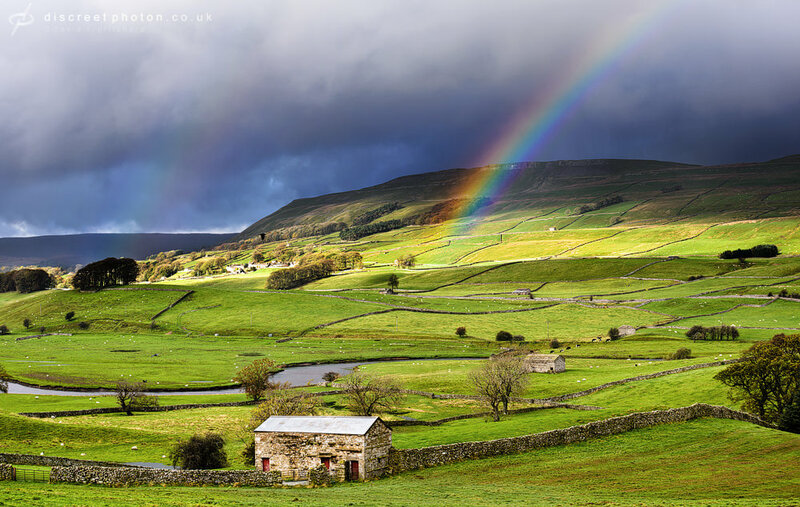 When a rainbow appears you don't have long to shoot it so here are a few rainbow photography top tips to help you out. Unfortunately, due to the conditions that are needed for a rainbow to appear, you really do need to be in the right place at the right time (you might see a few more at this time of year though due to the rainy nature of April). Don't fancy waiting for one to appear in the sky above you? You'll also find them in bubbles and near other water sources such as fountains in town squares and around waterfalls. If you do happen to stumble across one, position yourself so the rainbow can act as a frame for a building, interesting rock formation or whatever photogenic subject you may find. If you don't, your shot will just look empty and boring. For added interest, position yourself so the rainbow intersects your subject as this is where the eye will be drawn to. Leading lines such as deep shadows and long roads will draw the eye into the picture as well as add interest to the shot. If you do this use a small aperture so the foreground and rainbow are both in focus. You also need to work quickly as they can appear and vanish within a matter of minutes. As rainbows need moisture and sunlight to appear more often than not you'll have clouds full of rain lingering in the back of your shot but this isn't a bad thing as the dark colours of storm clouds will help enhance the vibrancy of the rainbow, making the colours really stand out. Just make sure you don't meter of this part of the sky though as your rainbow will end up losing some of its punch. If you get the chance, do spend some time assessing which angle the rainbow looks most vibrant at to make it really stand out from the sky behind it. What sort of camera settings would have been used for the top rainbow shot please? I would hazard a Guess that it was shot at F/22 or similar It seem that it has been exposed for the rainbow itself, When there are a wide range of exposure levels as in the above image It would be good practise to Bracket your shots in this example maybe up to 5 exposures , as you can see the trees and bushes have lost any detail you can of course dodge and burn but for better results try laying the images on top and create a mask to paint in the correctly exposed feature ( obviously using a tripod ) ISO 100 or less to take advantage of the tripod if you don't have a cable release use the timer function for Landscapes it works fine , if you want to be more precise you can lock up the mirror on many models I use a Canon 5D Mk iv If you choose to manual focus set the aperture to F22 or higher and set the focus ring to Infinity.